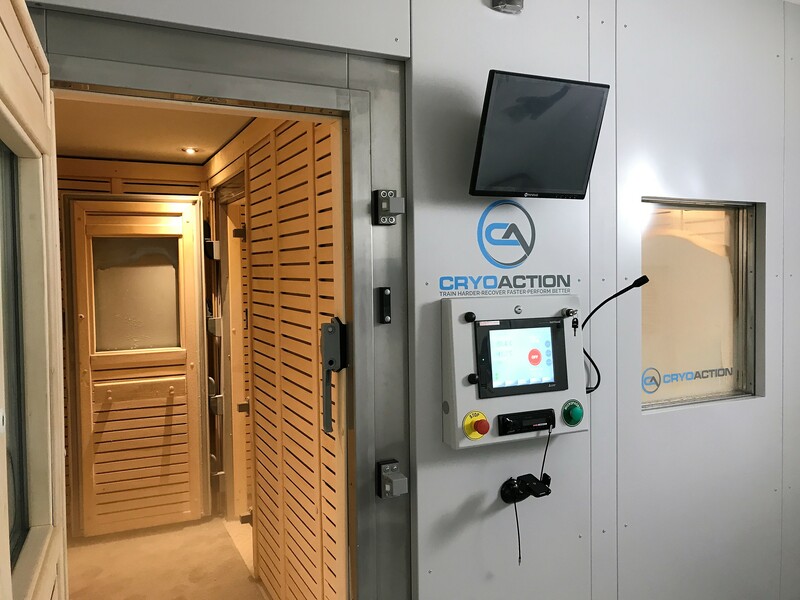 Why choose Whole Body Cryotherapy from CryoAction? 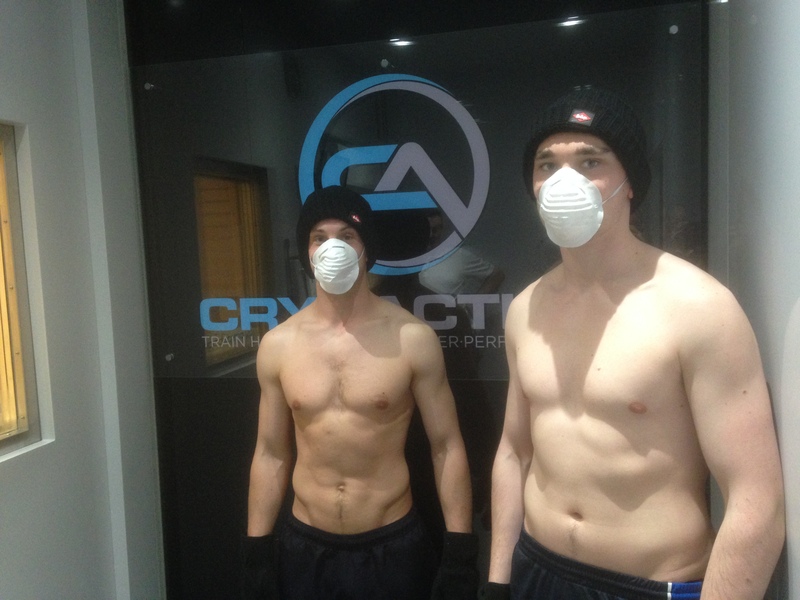 CryoAction are the leading providers of Whole Body Cryotherapy chambers for elite sports. Our company is selected by the premier teams across a range of sports, to empower the recovery of their athletes and to improve their health and well-being. 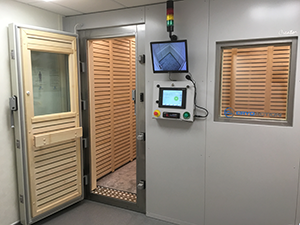 Our range of cryotherapy chambers offer both functionality and flexibility, delivering a safe and complete treatment modality. 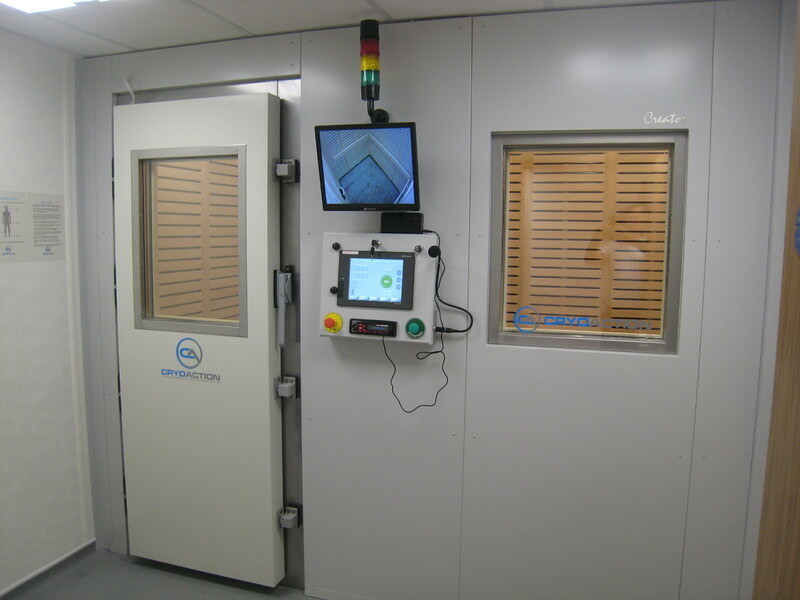 Contact us to find out how we can bring whole body cryotherapy and all its outstanding benefits to your organisation. 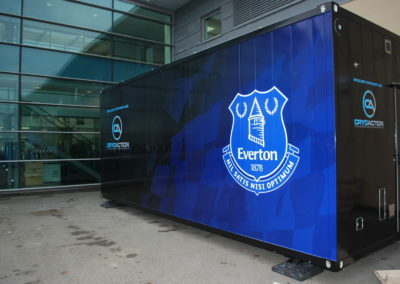 A 21st century cooling technology to offer a boost to sports recovery, post- exercise and prevent injury. 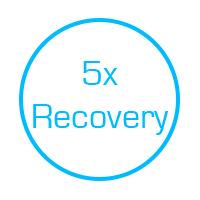 The ideal temperature for ensuring the optimum physiological response and boosting recovery for a whole body cryotherapy treatment is -135°C. 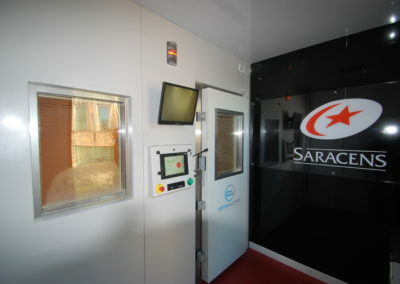 A total whole body cryotherapy treatment duration of just 3 minutes is enough to kickstart the recovery from fatigue. 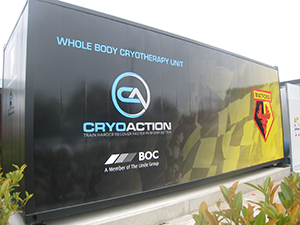 Performance coaches say that post-exercise recovery is up to 5 times more effective after whole body cryotherapy than traditional methods. 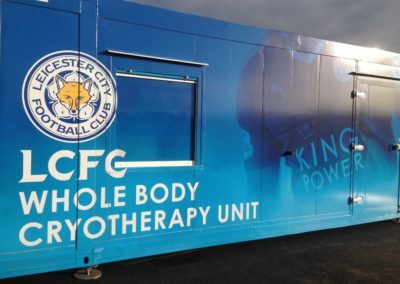 A fixed cryotherapy chamber is designed to be installed and integrated within a pre-existing building and enables whole body cryotherapy to be delivered to athletes quickly and efficiently. 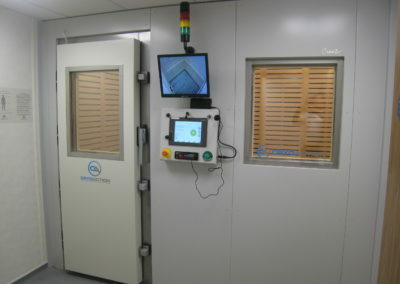 The bespoke design is unique to each installation and ensures the throughput of treatments is maximised and represent the most efficient modality for cryotherapy delivery. 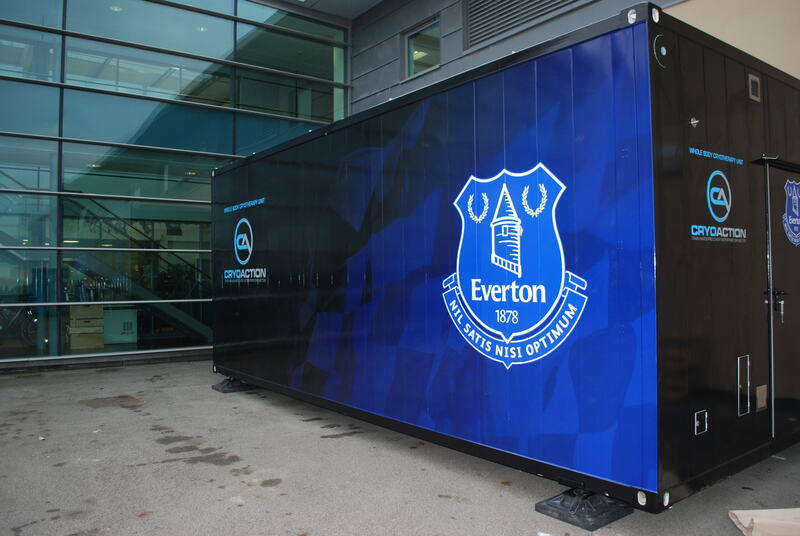 Transportable cryotherapy chambers offer access to cryotherapy where space is a constraint or a needs exists for a flexible option. 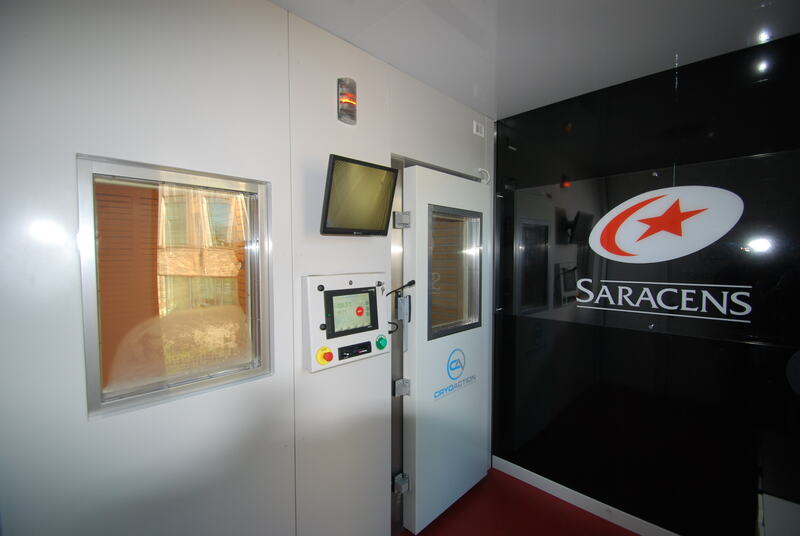 The cryo chamber can be positioned adjacent to an existing building, offering a seamless transition into the cryotherapy unit. 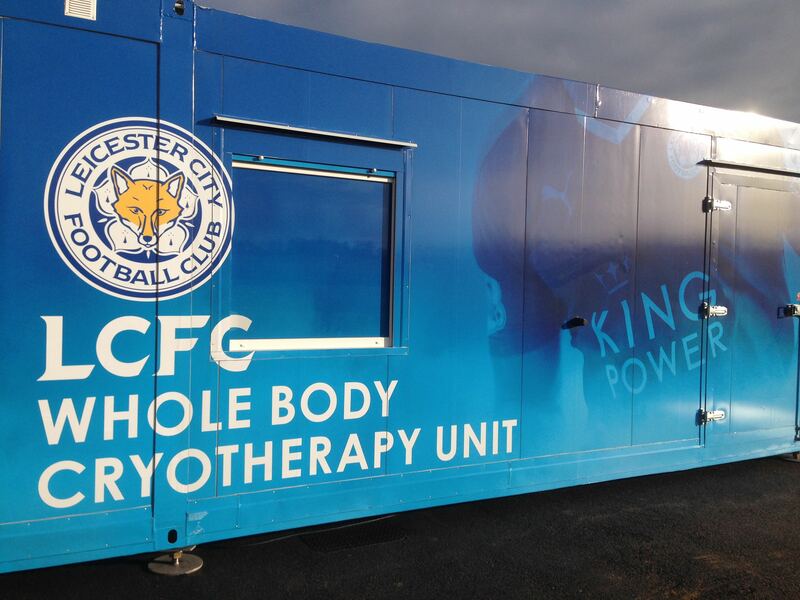 The transportable chamber contains everything need to deliver whole body cryotherapy treatments. 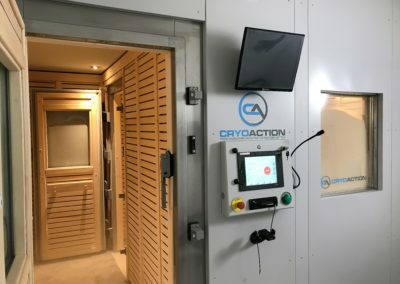 Available for medium to long term rental, CryoAction’s rental units offer an immediate, always-available solution for clients who need a quick recovery solution that can be deployed and deliver cryotherapy to an entire squad of players in the quickest possible time and with minimal disruption. 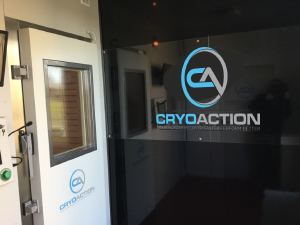 Just a few of CryoAction’s clients offer their views.